How are your goals coming XC? My only goal this year is to beat every level in Mario+Rabbids with at least a "Good" rating. So far so good! The game is so fun it makes it really easy. I was wondering about that game. I might get it when I get a Switch, but it's not high priority. I loved the Rayman Raving Rabbids games for the Wii though, they were ridiculous and funny. I still need to finish Oblivion. The end of August and September is usually crazy busy for me though and this year is no exception, so I haven't played in about a month now. I'm heading over to Devo's tonight to work on Exile some more though so I think I'm still on track for year 3 to be a success as well. How are everyone's goals coming? I've been plodding my way through Persona 5 while mixed in with other multiplayer games (Overwatch, Destiny 2). I'm on holidays now so I'm hoping to power through Persona 5 and get through whatever else I can this year. I don't anticipate I'll finish every game - I was a bit ambitious putting on more than one 80+ hour game on the list haha. I also blame myself for not keeping my game spending in check. I've bought a lot more games than I should've - I've got nearly the same number of new games as I do backlog! Going into 2018 I'm definitely going to reel it back to my 2016 plan. That way I can actually get through my backlog. Doing fairly well! Technically the last 2 things on my list I've already finished. With Roller Coaster Tycoon 1, I specifically made the goal that I'd complete as many as I could, so that I wasn't forced to try to complete every scenario if some were too difficult. With Lego Star Wars, I play the Lego games with the sis, but she hasn't wanted to play since the beginning of the year and thankfully, we finished the main game then. We're just going through and 100%'ing the game and obtaining all achievements as we usually do with the Lego games. I can check those off whenever. Uhhhhh. I should sit down and focus on Pokemon Moon. I want to get one of the Ultra games. I've been getting distracted with a lot of games, having picked up a ton during all the recent sales. Horizon Zero Dawn and Mirror's Edge:The Sequel have been getting the most attention lately, and I really want to play all the DLC for Breath of the Wild. Also having cravings to play FFXIV, FFXV (especially Comrades mode, anyone want to play? ), and Fallout 4, among others. Oh wow I almost forgot there was a second Mirror's Edge game! I need to look up some footage of this one. I loved the concept for the original and enjoyed playing it a lot. 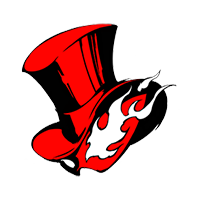 Persona 5 beaten! 8 months later but at least finished that before the end of the year.